Sometimes the best way to pass the time on a flight is to catch a few z's. A pashmini or cozy scarf is perfect to use as a blanket, or roll up and use as a neck pillow. Other essentials include an eye mask, noise cancelling headphones, and a cozy pair of socks. Even if you can't sleep on planes, at lease you will be comfy! Although we hope it doesn't happen, the reality is that sometimes luggage gets lost. Make sure to pack all your medications in carry-on, as well as a change of clothes, and your essential toiletries. While the in-flight entertainment system can pass some time, it is nice to have some other options to keep yourself busy. Pack a tablet filled with downloaded e-books, movies, and binge-worthy tv shows, and perhaps a crossword puzzle, journal, or sketchbook. 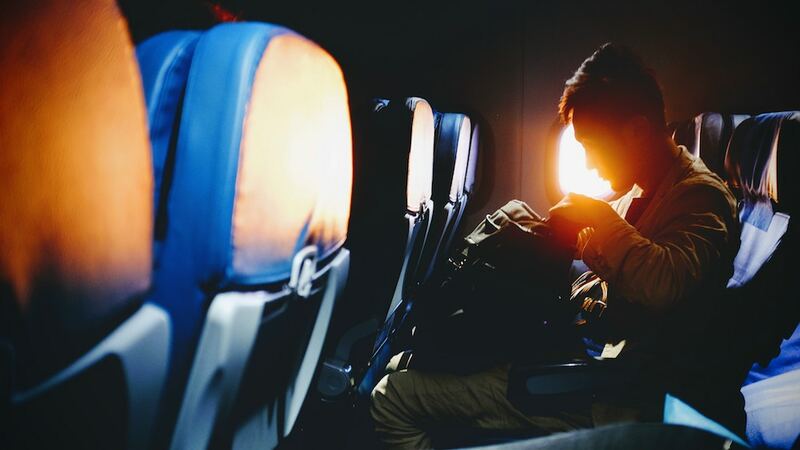 No one wants to get sick during or after their vacation, and giving your immune system an in-flight boost can be crucial. Make sure to pack hand sanitizer, Emergen-C, and sanitizing wipes to wipe down your tray table, tv screen, arm rests, and seatbelt. It is also a great idea to pack a stash of healthy snacks so you can avoid the expensive airplane junk food! To feel clean & arrive fresh at your destination, pack moisturizer and lip balm to combat the dry air, face freshening mist, facial cleansing wipes, and a travel-sized toothbrush & toothpaste.